Planning a trip to Mexico’s capital and wondering where to eat in Mexico City? There are literally thousands of options and spots to suit every budget. 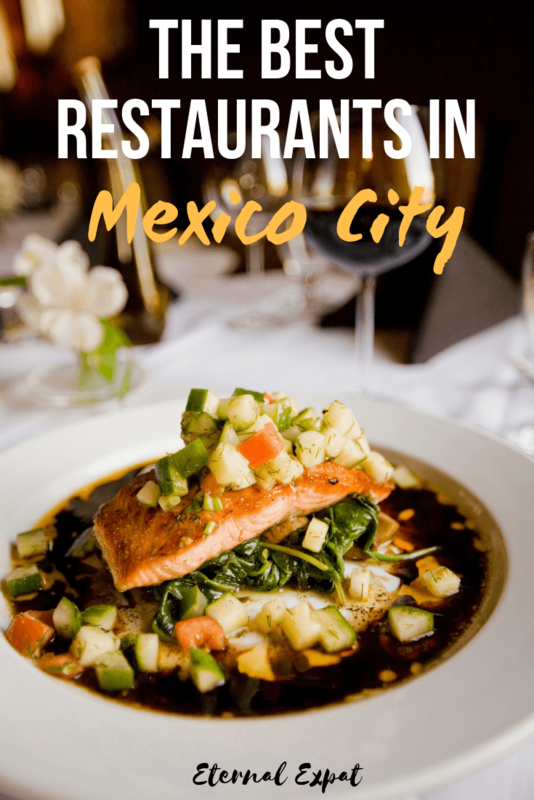 Whether you want to dine at a top 50 in the world or you want to pull up a stool and eat all the street tacos, there are literally endless possibilities for places to eat in Mexico City. I’ve been living in the capital for almost three years now and I still manage to try at least one, if not two new-to-me restaurants every single weekend. If you’re looking for some great spots to drink, be sure to check out my craft beer in Mexico City post and my Mexico City nightlife article. I recommend tons of restaurants on my Instagram and I make weekly videos of where I’ve been eating lately on my YouTube channel, so be sure to check them both out for more free recommendations! If it’s traditional Mexican cuisine that you’re looking for, then you need to spend plenty of time in the Centro Historico. 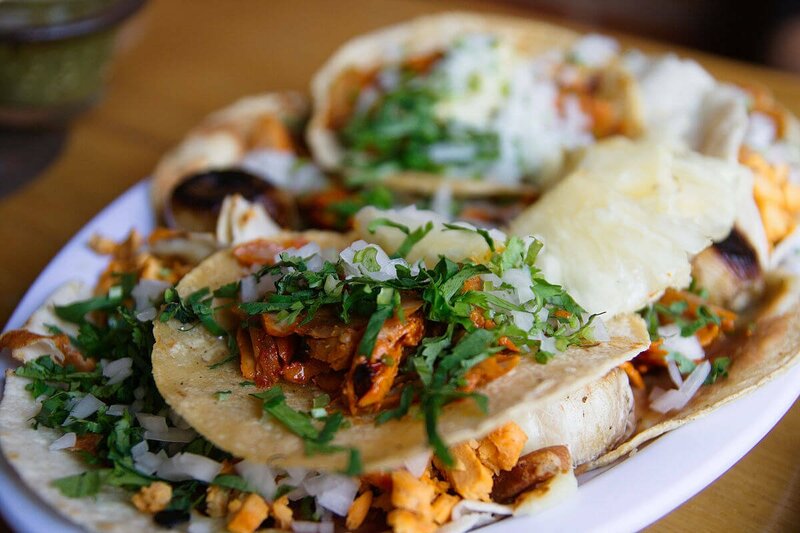 This neighborhood is home to some of the oldest and most delicious taco spots and restaurants. These are a few of my favorites. Cafe de Tacuba is like stepping back in time. They have been serving food at this very location since 1912. There are plenty of places around the city where you can get food of the same quality and price (or perhaps for slightly cheaper), but the experience here is worth every peso. The waiters and waitresses wear traditional uniforms, there are almost always bands playing, and the restaurant itself is huge. There are several rooms with different paintings, sculptures, and stories. It’s particularly good for lunch and dinner. 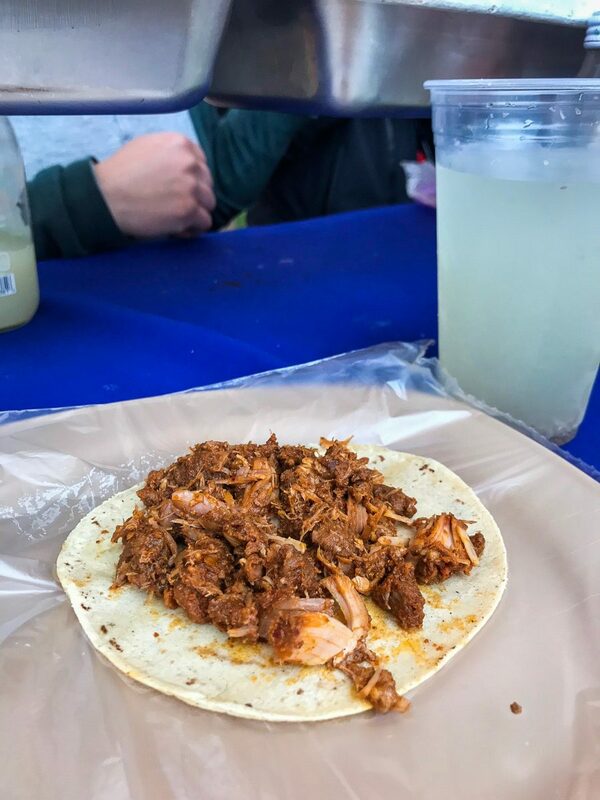 There are a few places around Mexico City that claim to be the original makers of tacos al pastor, but none of them are as tasty as El Huequito. Be sure to try the ones at the location on Ayuntamiento street. There are only a few standing tables, but the tacos are best here. Alternatively, you could head to their restaurant location on Bolivar where I recommend trying the pastor alambre and washing it down with a few ice cold beers. This is one of my favorite Mexican-diner style restaurants. It’s very casual, very cheap, and very delicious. I really love coming here for a big lunch (especially on the weekends). They’re known best for their birria, but I also love the chamorro and their agua frescas are also really delicious. It started as a street stall (which is still where I recommend on your first visit), but they now have a full-service restaurant right next to the street stall. This is where to head if you want delicious Mexican-style seafood dishes like ceviche tostadas, shrimp tostadas, shrimp empanadas and other delicious fried things. One of the most well-known places in the CentroHistórico to have breakfast and for good reason. The breakfast here is absolutely delicious. Be sure to try the chilaquiles and order a hot chocolate. It’s served with a sweet bread (pan dulce) that you can dip into it. Don’t expect creamy European style hot chocolate. This is proper Oaxacan cacao and is thinner and not quite as sweet as you might be used to, but if you a chocolate purist then you’ll love this. There are a few locations around the city now, but I really recommend grabbing a table in the Centro Histórico location. It’s the original and the interior is beautiful. I have a full article all about the best tacos in Roma and Condesa which you can read here, so I won’t mention more taco spots, but there are still plenty of great restaurants in Condesa and Roma worth checking out. This is one of my favorite restaurants in Roma Norte and one that I recommend to pretty much every person I meet. The menu is simple, first you choose your meat, then you choose your sauce, then you choose your side. It’s modern Mexican, but it’s very reasonably priced and the portions are plentiful. They also have a nice starters menu. The chiltamal (a tamal cooked inside a chili) is absolutely delicious and all of their sauces are so rich and flavorful. This restaurant is up there as one of my favorites in the entire city. You need to make reservations at least a few days in advance and up to a week or more if you want to come on a Friday or Saturday night. It’s worth the planning. 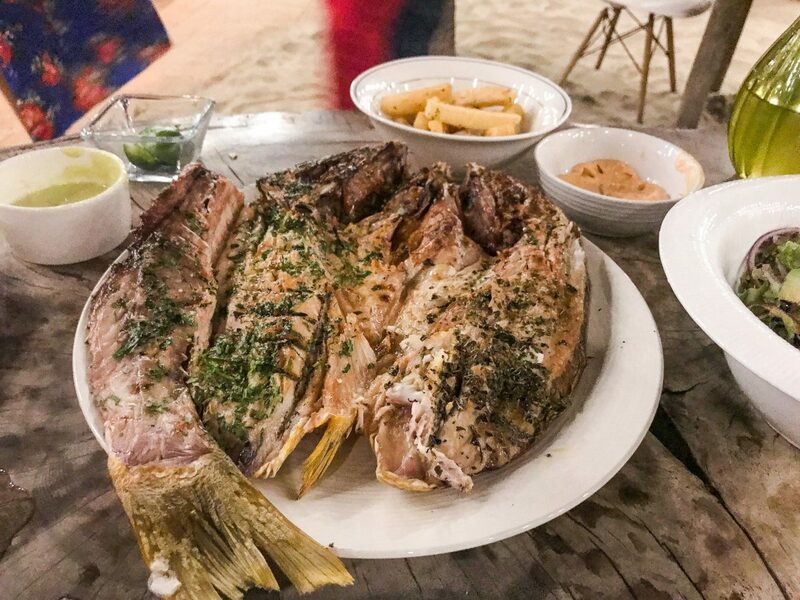 This is where you can enjoy outstanding seafood, perfectly cooked meats, amazing moles and other Mexican sauces, the best wine from around Valle de Guadalupe, and also incredible service. Did I mention that two people can eat three courses each with wine for less than $100? For a lunch spot that makes great coffee, delicious pan dulces, and the best sandwiches you’ll find anywhere in Mexico City, head to Belmondo. It’s not particularly Mexican in flavor or ingredients, but everything is delicious and it’s one of my favorite lunch spots. There is no better bakery outside France than this (at least not that I’ve found). 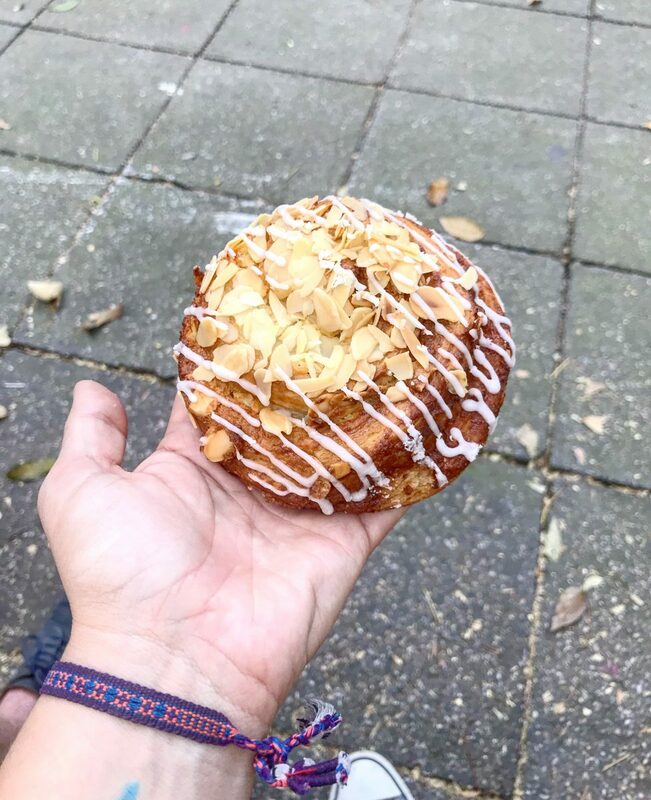 If you want buttery pastries with a Mexican twist, come to Panaderia Rosetta, get in the long line, order a coffee and ask for the rol de guayaba (guava roll). I also really love the rol de limon, the croissant with almonds and the chocolate croissant (and also the plain one!). I’ve heard they make good sandwiches and breads, but really it’s all about the coffee and the pastries. Once you get your order take it around the corner and grab a bench at Plaza Rio de Janiero. Here you can look at the one and only other life-sized replica of the David statue (the other is in Italy of course!). Looking for a casual place to enjoy lots of chilaquiles? This is the place for you. They have an entire menu dedicated solely to chilaquiles. If you’re not familiar with this Mexican breakfast dish, it’s made by placing tortilla chips on the base of the plate. It is then topped with a sauce of your choice (the house sauce here is really fantastic), then meat of your choice (the arrachera), and then onions, cream, and crumbled cheese. The coffee is nice and strong here, too. 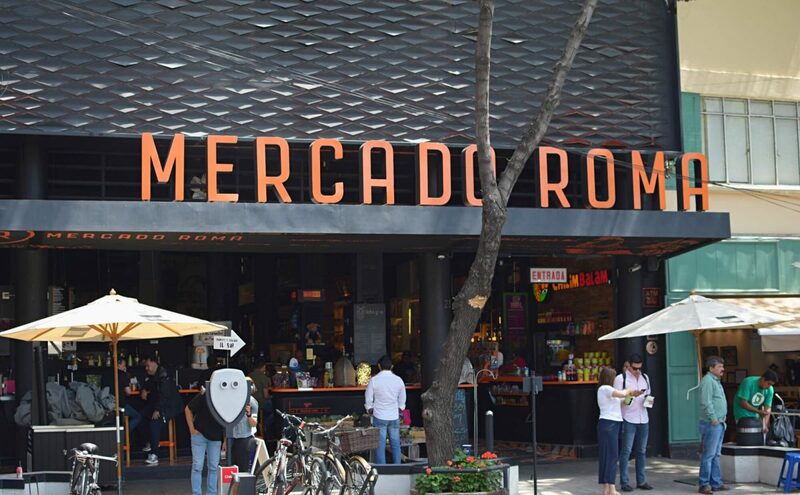 If you’re traveling with a group and you can’t agree on one place to eat, get yourself to Mercado Roma. There are burritos, tacos, burgers, sushi, tostadas, and churros all on offer here as well as a bar that will deliver an ice cold beer or cocktail right to your table. Head upstairs to the rooftop afterward to carry on enjoying your beverages at the rooftop bar. Other markets with good food options in the area worth mentioning are Mercado Medellin (the carnitas place in there is fantastic!) and Comedor de los Milagros for a place where you can sample food from all over Latin America. Polanco is home to Mexico City’s top restaurants. Most of these need little introduction and I will briefly mention them below just in case you are new to the Modern Mexican cuisine scene. If you find yourself in Polanco on a weekend without a reservation anywhere, I recommend heading to Parque Lincoln and going to the market (tianguis). 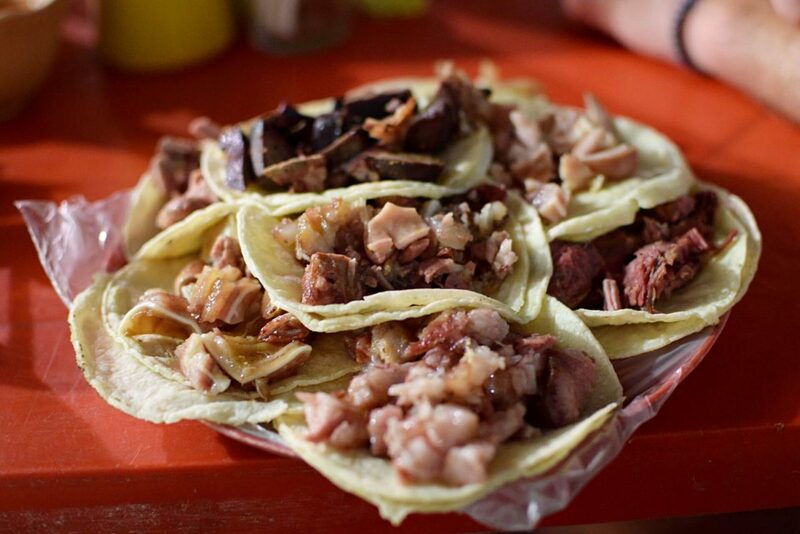 Some of the city’s best barbacoa is right there, no reservations needed, just pull up a stool! For a truly amazing lunchtime experience, you have to head to Comedor Jacinta. I’m totally biased because I love the chef, Edgar Nuñez (I’ll mention his other restaurant below). He trained at Elbulli, so his menus are creative and fun and the food is truly exceptional. 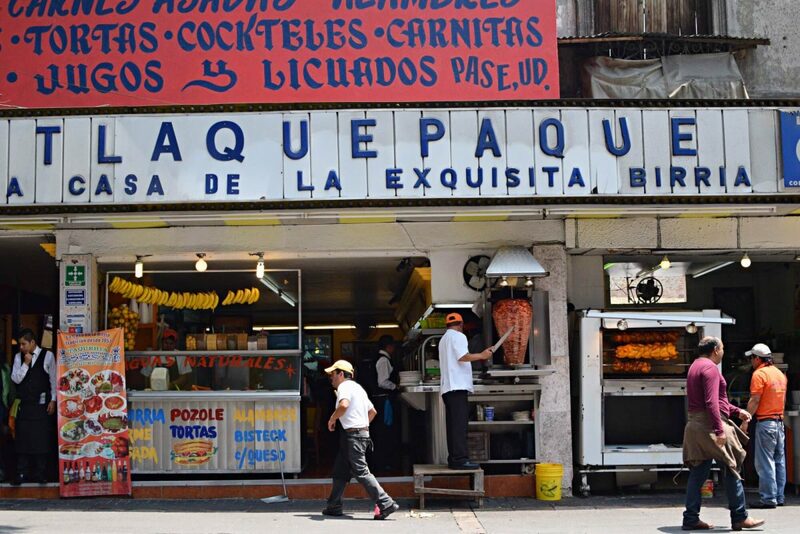 Sure, it’s not the cheapest place to eat in Mexico City, but that’s Polanco. I promise you that if you are an adventurous eater, you will find some tasty morsels here. I really recommend the sweetbreads, the bone marrow, anything with pork in it, the stews and soups. Literally, everything on the menu is fantastic. They also make very tasty cocktails and have a nice selection of Mexican craft beers. The number one restaurant in Mexico, the number one restaurant in Latin America, consistently ranked among the top 50 restaurants in the world. You need to make a reservation at Pujol at least a month in advance, up to two months in advance if you want to dine there on a weekend. I finally made a reservation there for June and I cannot wait to try that mole madre. The mole madre is the dish that chef Enrique Olvera is best known for. It is quite literally a plate with two mole sauces on it. One is over 1,000 days old and the other is a freshly made sauce. It’s served with freshly made tortillas. When you make a reservation you can tell them if you have any food allergies or other restrictions, otherwise you will receive the same 8-10 dishes that are on the tasting menu for that day. Reservations can be made through their website or by calling (they speak English and Spanish). The other big hitter in Mexico City that foodies won’t want to miss. This is another restaurant that you need to make a reservation at least a few weeks in advance (you can do so through their website). The chefs here were trained by Enrique Olvera over at Pujol and then headed off to open their own restaurant a few blocks away. Again, the menu is a tasting menu in which you will receive 7-10 dishes over the course of about an hour or slightly more. The focus here is heavy on seafood, so if you don’t love seafood, this might not be the place for you. No reservations, no pre-planning needed to have perhaps the best tacos you may have ever had. El Turix has only one type of meat, cochinita pibil. They have only one topping option, pickled red onions. When you take your soppy tacos to your table, there are three options: salt, lime, habanero salsa. You can have the meat on a taco, on a panucho (two tacos fried together and filled with refried beans), or inside a torta (sandwich). I really recommend having a few tacos and perhaps trying a panucho if you’ve never had one. If you want more, skip the line and head straight back up to the guy at the stove with your plate. Pay once you are finished and ready to leave, just remember how many tacos you had! 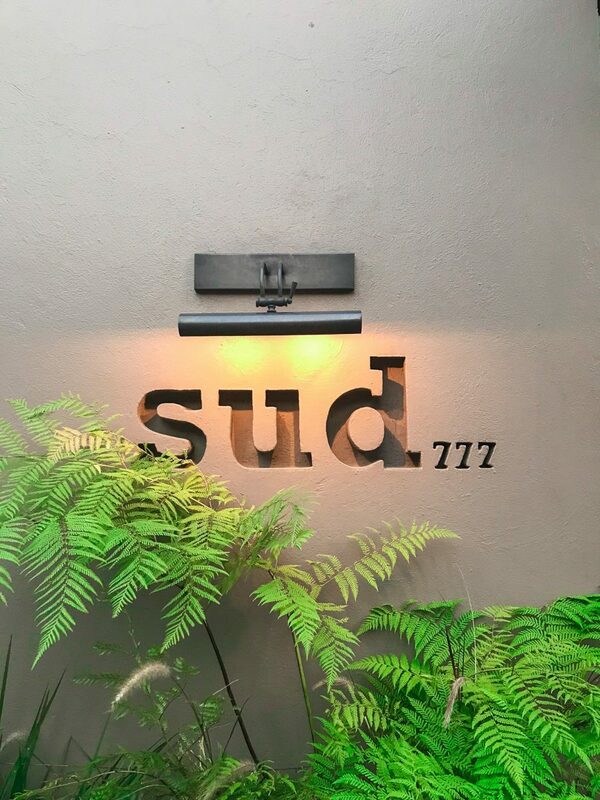 If you find yourself in Navarte, there are a few options here and if you want a truly special meal, get yourself to Sud 777 in Pedregal. I recently tried this taco place in Navarte and I understand now why so many chefs around the city say that this is one of their favorite spots. Be sure to try the tacos Manolo or the Alambre Manolo. It’s basically their house specialty and is made with beef mince meat, bacon, onions, peppers, Worcestershire sauce, and love. The alambre is served with a huge stack of tortillas and could easily feed two people. If you want a good beer nearby, head to Beer Bros for great Mexican craft beer on draft. This is the more famous of the taco places in Navarte. During the day, this is the location of a car mechanic. At 7pm, those gates close and the gates to the kitchen open. Here you can find what many claim to be the best pastor in the city. The pastor tacos are seriously delicious and the line of hipster 20-somethings waiting for tacos get’s longer each time I visit (it MUST be good!). This is the restaurant of my favorite Mexico City chef, Edgar Nuñez. Like I mentioned above, he trained at Elbulli and his tasting menu is full of surprises, delicious foods, and dishes that will challenge the way you think about food. I loved it. 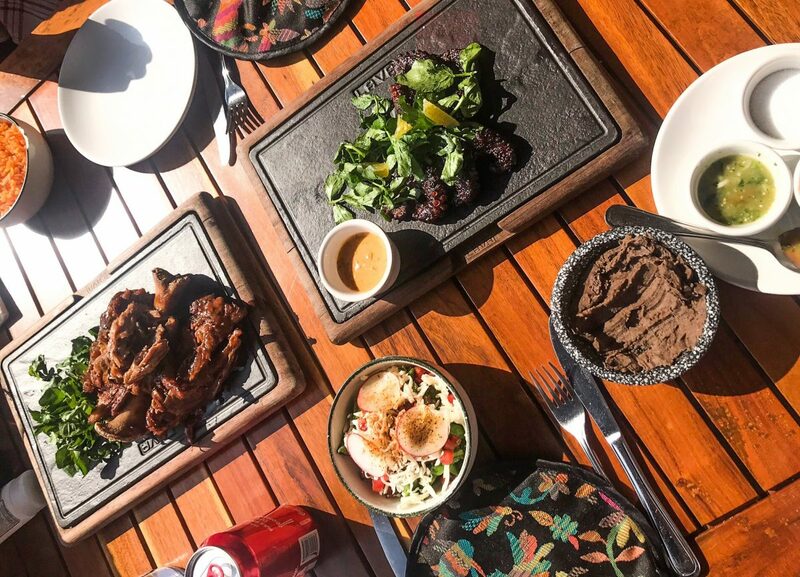 If you’re not too adventurous, but you love good food, not to worry they also have an a la carte menu where you can choose the slow braised pork shoulder or amazingly cooked duck in mole sauce. The wine menu has a huge selection of bottles and glasses from around Valle de Guadalupe as well as other wine countries. Don’t want to pay $20 to visit the Luis Baragan house (or did you forget to make an appointment? ), head to Tetetlan instead. This restaurant was also designed by legendary architect Luis Baragan and his small touches are all over the place. The food is pretty spectacular, too. I haven’t had Mexican corn-based meals this good since I was in Oaxaca. Be sure to have the tetelas. They are perhaps my favorite Mexican food ever and so very difficult to find around the country! The coffee and hot chocolate are also wonderful here. Want more restaurant, bar, hotel, and museum recommendations for Mexico City. 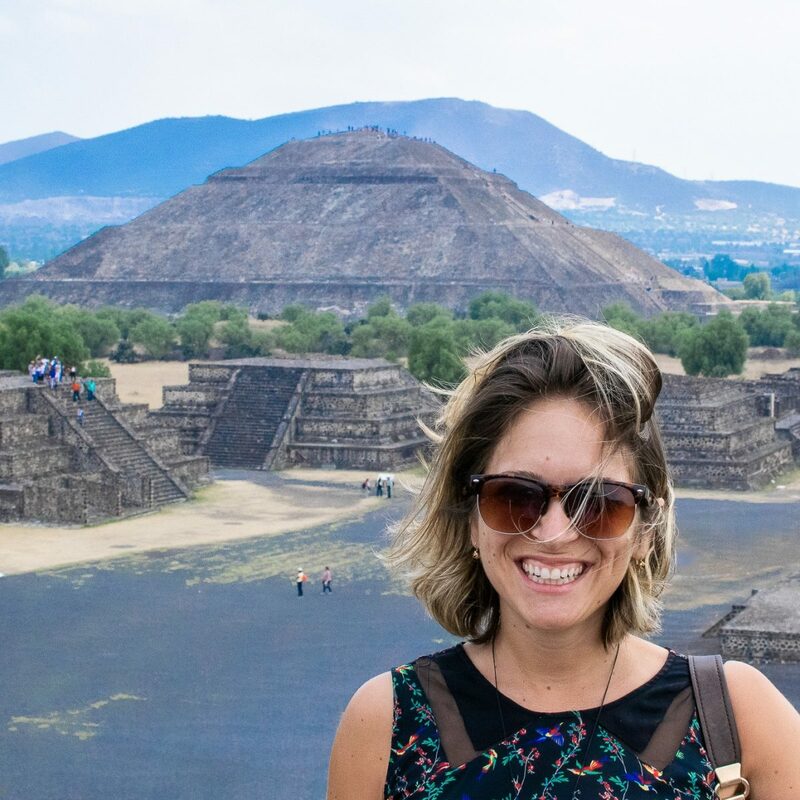 Grab a copy of my Mexico City guidebook. You can get a digital copy here or head to Amazon and purchase a paperback instead.